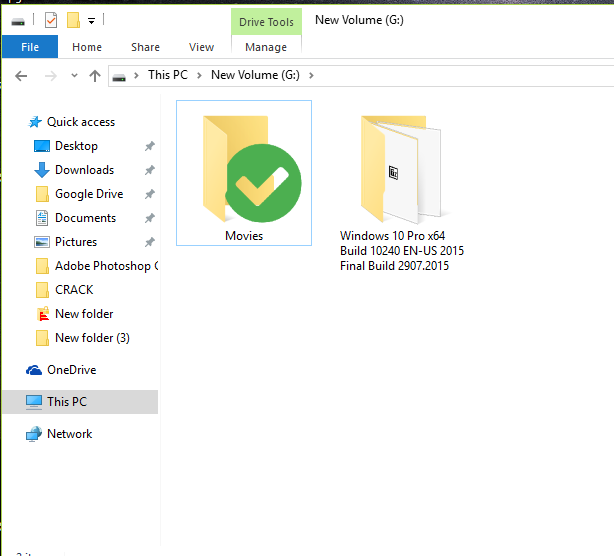 Once you’ve installed it you get some predefined colors on the right click on any folder in your windows. You can choose your favorite color from there. 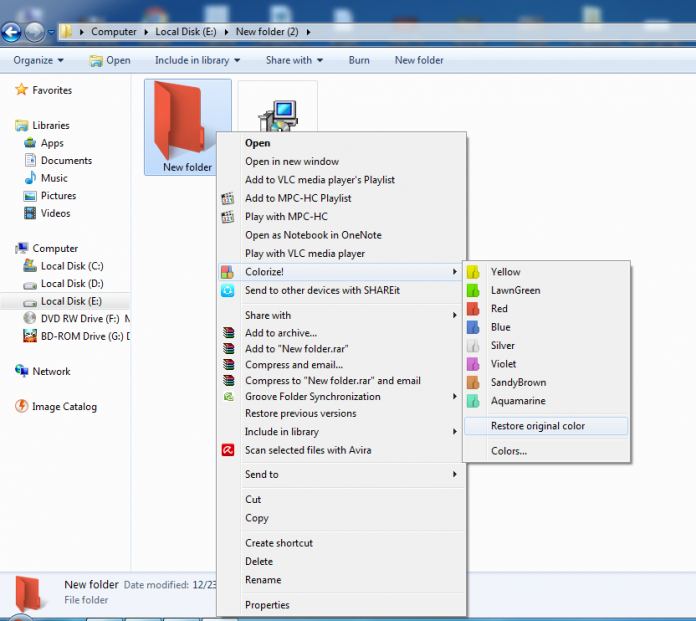 Let me explain you in details I am providing you the full tutorial on how to change windows folder colors. Step 1. 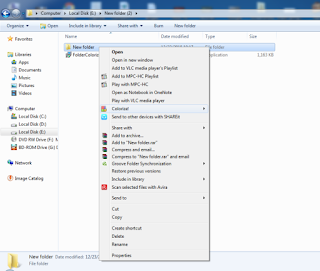 Download Folder Colorizer from download.cnet.com/ You can download the full free version of Folder Colorizer from here. Step 2. 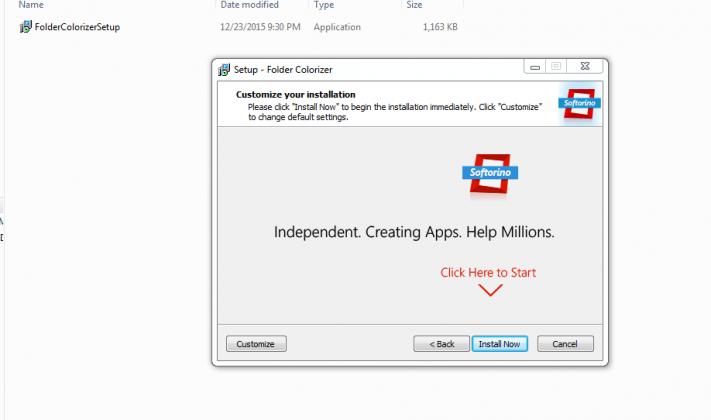 After downloading Folder Colorizer you need to install it. 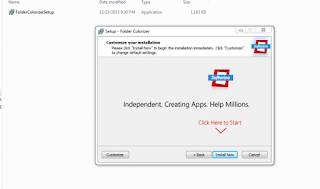 Double click on Setup file and open the file. Step 3. 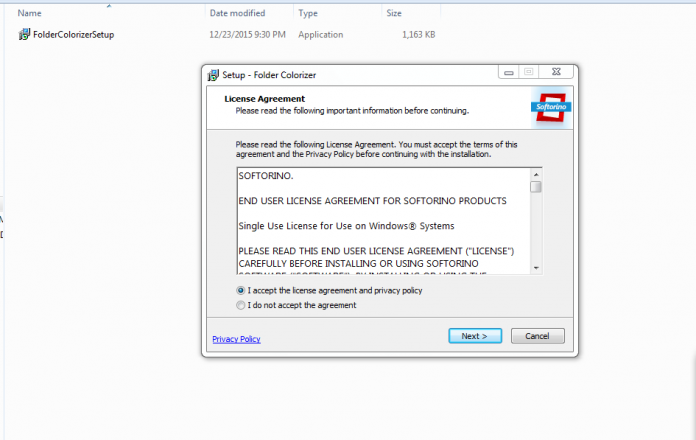 It will ask you to accept their license Agreement. 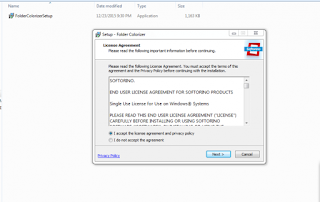 Accept the agreement and click Nextas shown in above screenshot. Step 5. 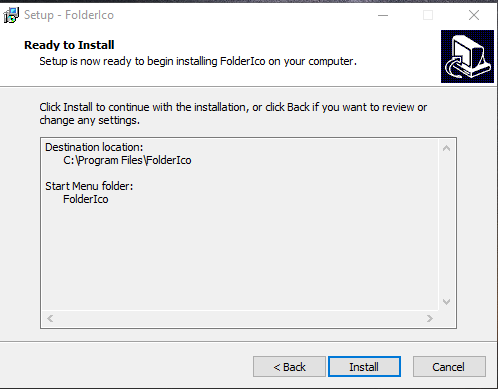 It will not give you any welcome note etc once it is installed, but that doesn’t mean that you haven’t correctly installed the program. 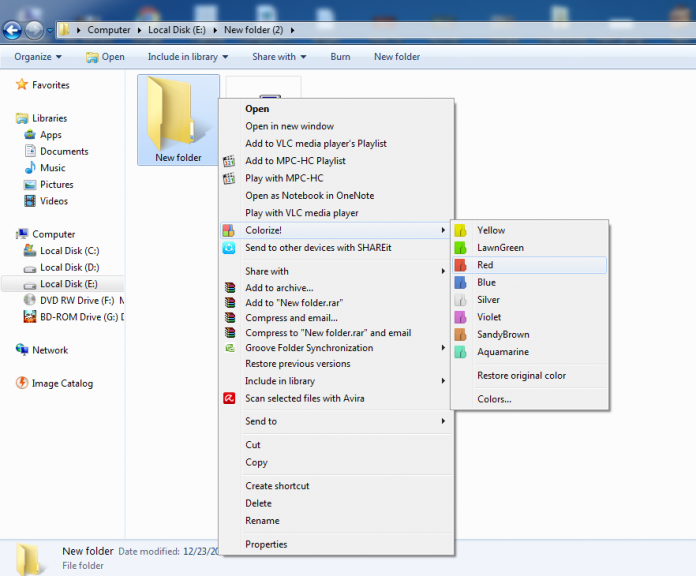 Select a folder and click right on it, you will see a new option called: Colorize! Step 6. And on the side of the program shows the color patterns. Just choose your color preference and the color change will be made instantly. Step 7. 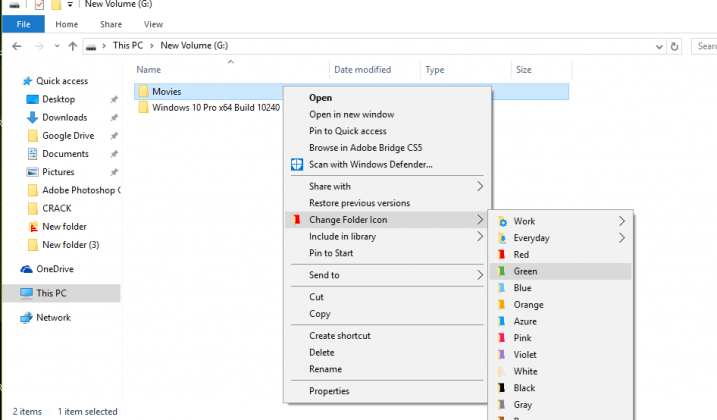 Now if you want to restore the original color of your folder just right click on the folder select colorize and then select the option of “Restore Original color” Your folder color will be changed to the default one. 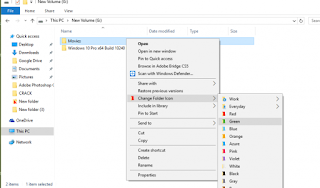 FolderIco allows changing the color of Windows folder in one click! 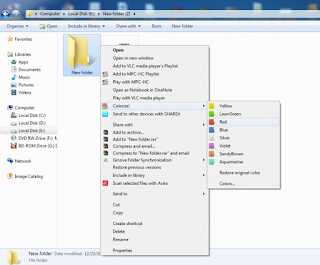 With FolderIco, you can give some color to Windows folders. 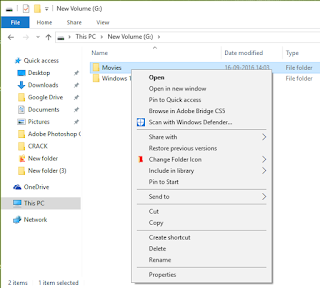 With just one click, colorize your folders, and discover a new intuitive way to classify your files. Step 1. 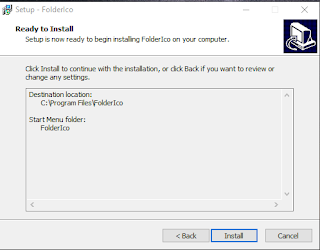 You need to download FolderIco on your computer and need to install it. Step 2. 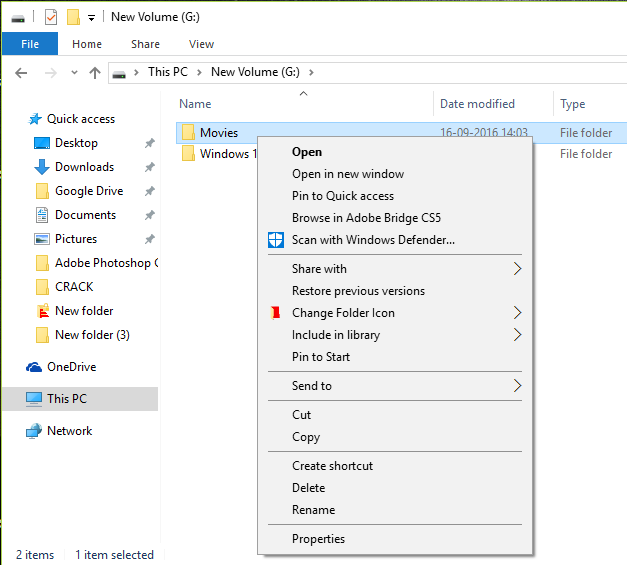 After installing you need to explore window, and right-click on a folder and open the context menu. Step 3. 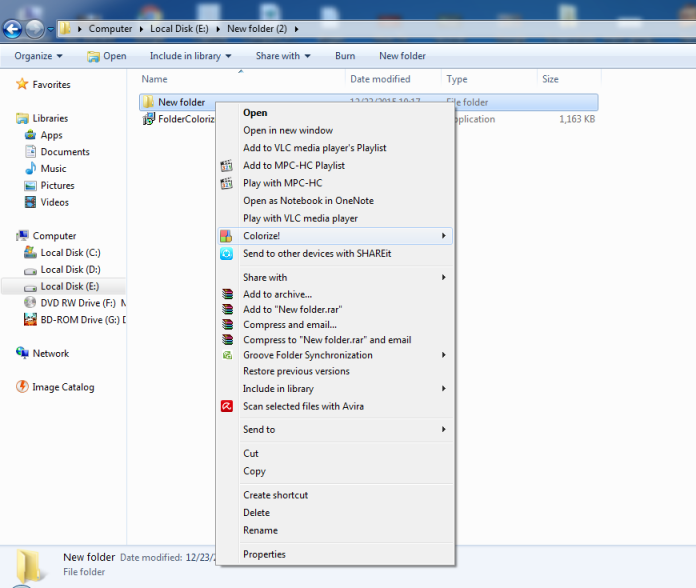 Now there you will see the option “Change Folder Icon” you need to move your cursor there and you will find a submenu. Step 4. 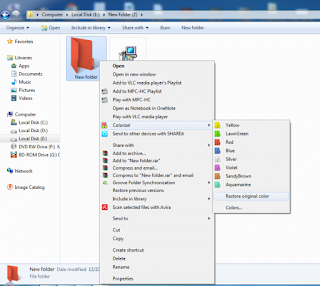 Now you will get various options to set your Folder icon. Simply select your preferred one. That’s it! You are done. I personally feel this is better than the first one mentioned in this step. 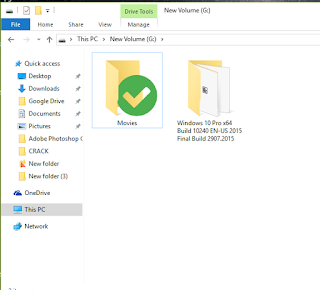 You can set your folder according to your priority, so you can also ask your questions if your not getting it and you need more clarifications..
Don't forget to take some seconds in sharing this post..waxloaded, we here to serve you more better..